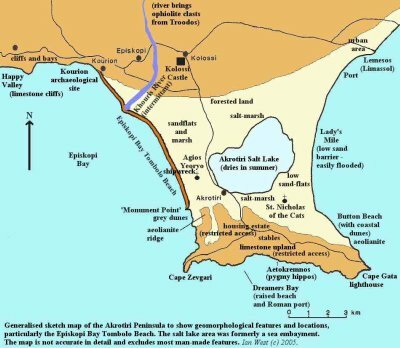 The Akrotiri peninsula is West of Limassol and if you look at the map of the island, it is the bit at the bottom that sticks out. 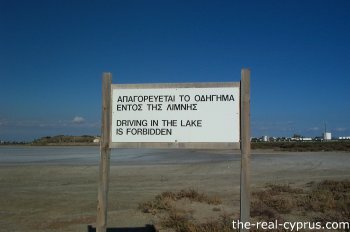 Apparently 70 percent of the bird population, both resident and migratory are found here. 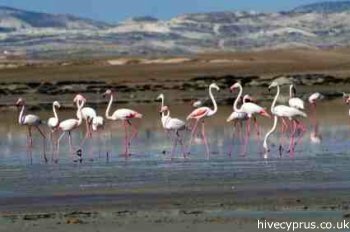 A whole colony of flamingos can be seen here when the lake fills up when the rains come in the winter. 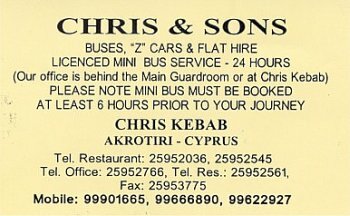 This restaurant has been open for many, many years and serves basic kebab food and salad. Nice rustic setting but a very small restaurant so booking might be a good option. We have known Chris for over 25 years, as boy and man. He used to help out his father and now he runs the restaurant and has a beautiful daughther of his own, who may well take over when dad has had enough. 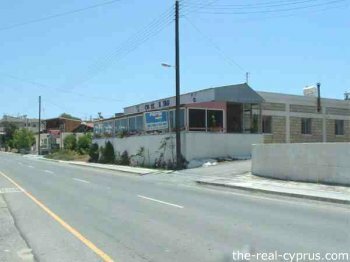 The advantage of this restaurant is the fabulous view over the salt lake and across the Limassol. You can't miss it. It is the restaurant with the coca cola sign and Chris Kebab on. A brief video capture of the monastery. Head down the dirt track road and you will find the monastery on the right hand side. You can't go inside but you won't miss the cats. 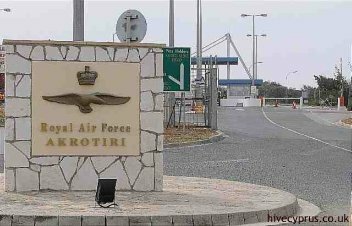 In greek it is called Agios Nikolaos ton Gaton, and it is no coincidence the eastern tip of Akrotiri penisular is called Cape Gata. I love this video of Ladies Mile Beach. It charts a day in the life of a group of young cypriot friends, 1 day in the summer, having fun and doing what young people do. It shows off this lovely flat long beach, with great shallow waters. 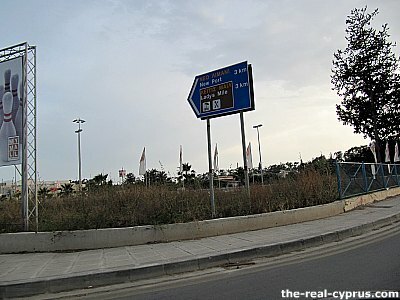 If you come from Limassol along the coast road, the beach is signposted as you head past Orphanides Supermarket on the way out to the peninsula and Kolossi. Sundays are particularly busy at lunchtime in the summer with cypriot families.